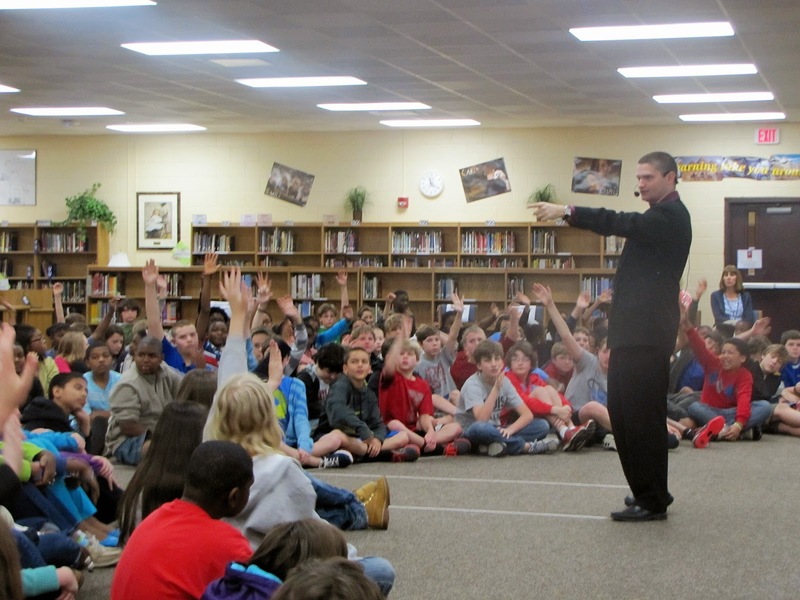 Chad's "Authors of Mystery and Horror" 2.0 was created for schools who had booked Chad the previous year for the entire student body and wanted something different for a repeat performance the following year. 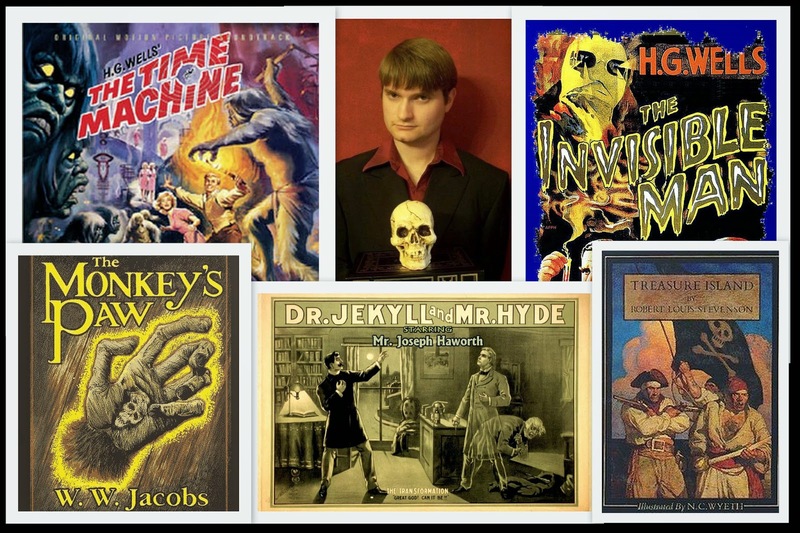 While the atmosphere is the same as the original version, this program contains all different authors and stories, and the conclusion ties into what students learned in the original "Authors of Mystery and Horror." The authors in this program are Robert Louis Stevenson (Jekyll & Hyde, Treasure Island), W.W. Jacobs (The Monkey's Paw), and H.G. Wells (The Time Machine, The Invisible Man, War of the Worlds). Students will once again learn about the stories and some of the strange and unusual circumstances surrounding the lives of those who wrote them. This program is also GREAT for PTA/Family Night programs - especially when combined with the original program during the day. 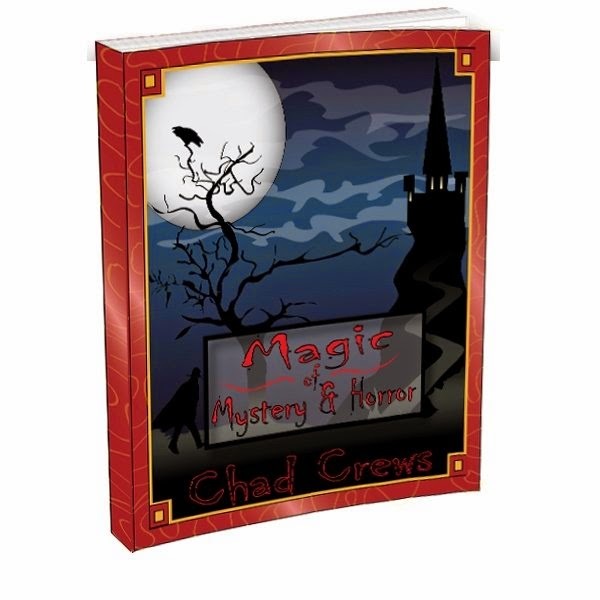 Students will excitedly bring back their parents and friends for the evening program after seeing the regular version during the school day, and schools can do very well when they choose to sell Chad's book "Magic of Mystery and Horror" after the evening program. To find out more information about book sales, just click on the picture of the book below and see how your school can profit from it! Finally, below are some comments from other educators about the program!